Harold Feldman was born in 1919. He worked as a freelance writer and translator. During the 1930s he was a translator for the Social Security Administration. Feldman contributed a large number of articles to psychoanalytic journals. His brother-in-law, Vincent J. Salandria, has argued: "Harold was a brilliant thinker and a revolutionary one. He was willing to oppose power and to seek justice for the powerless." Feldman and Salandria were shocked by the assassination of President John F. Kennedy. Salandria became suspicious when the media reported that Lee Harvey Oswald had previously defected to the Soviet Union, had formed a chapter of the Fair Play for Cuba Committee in New Orleans and was a member of the ACLU. 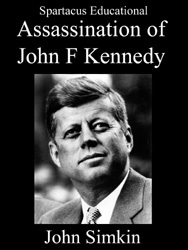 "I began to examine the post-assassination events as they unfolded. I took note of the reports coming in about the alleged assassin. I wondered whether his alleged left-wing credentials were bona fide. Very early in my work in the peace movement, I learned that some ostensible peace activists were infiltrating government agent provocateurs who were not what they at first blush appeared to be." Salandria later commented: "It was apparent to me that no legitimate leftist straddles so many diverse political fences in a factionalized American left." Salandria came to the conclusion that Oswald was a U.S. intelligence agent. Feldman discussed the case with Salandria on Saturday 23rd November, 1963. Feldman like Salandria, believed Oswald was innocent. Nearly 20 years previously he had published an article on the psychology of assassins entitled The Hero as Assassin . "He has denied his guilt consistently, which no other lone assassin in history had ever done. They usually brag about it." Feldman added: "Look, Oswald will probably be killed. And they'll get a Jew to do it, because they always involve a Jew in these things." Salandria replied: "If Oswald is killed this weekend by a Jew, then we must look for a WASP conspiracy." 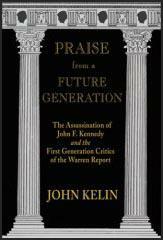 John Kelin has pointed out in his book, Praise from a Future Generation (2007): "Feldman and Salandria agreed that a Jewish killer would frighten the Left, and dampen the interests of normally left-leaning Jews in thinking critically about the assassination. Moreover, they both felt that the assassination could not be honestly probed by the government." After the killing of Lee Harvey Oswald by Jack Ruby, Feldman and Salandria "clipped and collated the multitude of articles on the assassination that were appearing in the nation's press". This included an article by Joseph C. Goulden, a former counter-intelligence agent, reported in the Philadelphia Inquirer, on 8th December, 1963, that alleged that "the Federal Bureau of Investigation tried to recruit Oswald as an undercover informant in Castro groups" two months before the assassination. On 1st January, 1964, Alonzo (Lonnie) Hudkins in The Houston Post, also speculated that Oswald was closely connected to the FBI. As Feldman later pointed out: "Hudkins found that Oswald did know agent Hosty. He had Hosty’s home phone, office phone and car license number - this on the authority of William Alexander, assistant to Henry Wade, Dallas District Attorney. Alexander had attended the grilling of Oswald on November 22 and 23. Hudkins notes that if the FBI had Oswald under surveillance, the watch could not have been too close or they would have known about the rifle and other matters." This created a stir at the Warren Commission and Leon Jaworski was sent to interview Hudkins. Jaworski reported back to the commission that Hudkins had invented the story. However, when Hudkins was interviewed by the Secret Service several months later, he said his source was Allan Sweatt, the head of the criminal division of the Dallas Sheriff's Office. According to Harold Weisberg , Sweatt told him that Oswald was an FBI employee with a known number getting $200.00 a month. On 6th January 1964 Carey McWilliams, the editor of The Nation, rejected Feldman's article on the assassination, Oswald and the FBI. McWilliams told Feldman: "I have decided - most reluctantly, I must confess - not to use your piece. It is certainly a well-done job, and I was sorely tempted, but it seems to me that on balance and for a variety of reasons we should not use it at this time." However, he changed his mind and it appeared later that month. McWilliams commented: "We have made some cuts, but I think they are all to the good." Feldman started the article with the following words: "The Warren Commission should, if possible, tell us how President Kennedy was killed, who killed him, and why. But beyond that, it must tell us if the FBI or any other government intelligence agency was in any way connected with the alleged assassin, Lee Harvey Oswald. At this moment, the possibility of such associations in the young man’s life is intolerably a subject for speculation." Feldman then went on to discuss the information reported by Michael Paine, Joseph C. Goulden and Alonzo (Lonnie) Hudkins. Feldman argued: "Was the alleged assassin of President Kennedy employed by the FBI? We have seen a news report that the agency tried to recruit him and that it has refused to say whether he accepted the offer. At present, all we know is that his history, as we have been able to piece it together, is not inconsistent with such employment. Indeed, his financial record seems entirely unexplainable unless we make some such hypothesis." In the same issue of the magazine, Carey McWilliams suggested he did not consider Feldman's theory believable. He also argued the appointment of J. Lee Rankin and Norman Redlich indicated that the Warren Commission would get to the truth: "These are excellent lawyers, men of the highest integrity." McWilliams also gave his support to the report when it was published: "In our view, then, the commission did its work well; the report is an admirable document, and the Chief Justice, his associates and the staff merit the praise they have received. The report should terminate the wilder speculations and more irresponsible rumor-mongering, but it will not do so. We have had occasion to experience, with more sadness than surprise, the depth and pervasiveness of the will to believe (notably among Left-of-Center groups) that the President’s assassination was the result of a sinister conspiracy - the names of the conspirators to be filled in as need, fancy and bias dictate." In June 1964, Feldman, Vincent J. Salandria and Shirley Martin went to Dallas to visit Helen Markham, the only witness who saw the actual shooting of J. D. Tippit. She refused to talk to them and she reported the visit to the FBI. According to their report on 24th July: "She (Markham) stated she was frightened and did not desire to talk with Mrs. Oswald and the two alleged reporters since she regarded Mrs. Oswald as a mean appearing person." They also visited the home of Ruth Paine. Her husband, Michael Paine made comments that suggested he had been informed about the background of Salandria: "Why are you working on the assassination? Why don't you stick to your work in civil liberties and civil rights?" Vincent J. Salandria later told Sylvia Meagher: "Michael Paine advised us under questioning of a cross-examination nature, that Oswald was serving as a spy in right-wing organizations." Based on their discussions, Salandria concluded that Paine knew Lee Harvey Oswald much better than his Warren Commission testimony suggested. Feldman and Salandria also interviewed Acquilla Clemons who had also seen the events around the killing of Tippit . Salandria later recalled: "I thought she was entirely credible." According to Clemons the gunman was a "short guy and kind of heavy". The other man was tall and thin in khaki trousers and a white shirt. The Dallas Police warned her not to repeat this story to others or "she might get hurt". In March 1965 Feldman published Fifty-One Witnesses: The Grassy Knoll in the Minority of One journal. He argued: "The human ear does not provide the best evidence in a murder case. But its perceptions are evidence not to be despised or dismissed, especially when the case is the murder of a President and more than half of all recorded witnesses agree. What follows is the result of a survey of the 121 witnesses to the assassination of President Kennedy whose statements are registered in the twenty-six volumes appended to the Warren Report. On the question of where the shots that killed the President came from, 38 could give no clear opinion and 32 thought they came from the Texas School Book Depository Building (TSBDB). Fifty-one held the shots sounded as if the came from west of the Depository, the area of the grassy knoll on Elm Street, the area directly on the right of the President's car when the bullets struck." In October 1967, M. S. Arnoni wrote an article criticising Jim Garrison in the Minority of One. Garrison replied to these points in a letter published in the next issue: "I really do not care greatly whether anybody thinks I am wrong or right about the assassination. Since I happen to be right, the problem is theirs and not mine." Feldman came to Garrison's defence: "If Garrison's case deserves any skepticism, it must be a benevolent skepticism. You cited the fake leads, which were being foisted on the critics a few months ago with the probable intention of misleading and discrediting them. One obvious difference between such leads and Garrison's work is that he has, undoubtedly, and unerringly, located the plot to kill Kennedy in its actual locales and its evident milieus. Another difference is that Garrison has bet his life on the outcome." Feldman eventually dropped his interest in the assassination of John F. Kennedy. His brother-in-law, Vincent J. Salandria, later commented : "Harold was crucial in helping me think about the assassination of President Kennedy and to use this understanding as a prism through which I would better examine and gain insights into the nature of the society." Harold Feldman died of liver cancer in August, 1986. 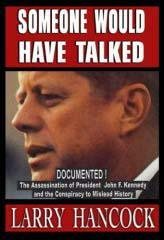 The Warren Commission should, if possible, tell us how President Kennedy was killed, who killed him, and why. But beyond that, it must tell us if the FBI or any other government intelligence agency was in any way connected with the alleged assassin, Lee Harvey Oswald. At this moment, the possibility of such associations in the young man’s life is intolerably a subject for speculation. It is in the light of this official coyness that we must consider the possible connection of Oswald with the attempted shooting of General Walker. Oswald’s widow is said to have declared that he boasted of shooting at that doughty warrior. In view of her prolonged seclusion from the public, and even from relatives, under government supervision, we must infer that any statement alleged to be hers at this time is a deliberate “leak.” It is interesting that a similar “leak” at the beginning of the case - that a rifle which Mrs. Oswald knew her husband had kept in a garage was missing on the morning of the assassination - proved to be false. The FBI is also reported to have found a document in Oswald’s handwriting that mentions his attack on Walker, but once again the document has not been produced for examination or reproduced in the press. Was the alleged assassin of President Kennedy employed by the FBI? We have seen a news report that the agency tried to recruit him and that it has refused to say whether he accepted the offer. At present, all we know is that his history, as we have been able to piece it together, is not inconsistent with such employment. Indeed, his financial record seems entirely unexplainable unless we make some such hypothesis. If there is anything constant in Oswald’s life, it is his need of money. After three years on a marine private’s pay, he goes to Russia. There he works in a factory for the pittance of 80 rubles a month. He returns to America with a wife and child in mid-1962 and thenceforward works at a series of jobs paying the legal minimum wage or less - when he is not unemployed. For months his only acknowledged source of income is the Texas unemployment compensation of $33 a week. His job at the School Book Depository, from whose warehouse he is supposed to have shot the President and Governor Connally, paid him $1.25 an hour. Surely he was a pauper, a fellow whose monetary resources could only keep him swinging between want and destitution. But if there is another thing about Lee Oswald as certain as his indigence, it is that he was often capable of expenditures that would have cramped the purse of a suburban status seeker. After years of subsisting on a marine’s pay, from which he occasionally sent money to his mother, he undertakes a trip to Russia with a capital of $1,600. How could he have put aside this nest egg? After years of low factory remuneration in the Soviet, he wants to return to the United States and, in a letter to his mother, estimates the cost at $800. He borrows $435.71 from the United States Embassy in Moscow but, mirabile dictu, he repays the loan between October, 1962, and January, 1962, during which time he was unemployed for several weeks and worked for a time as an unskilled developer of photostatic prints. A Miss Pauline Bates, public stenographer, whom Oswald paid for typing his notes for a book about Russia three days after his return, has said that “he hinted he had gone to the Soviet as a U.S. secret agent.” He allegedly told her then that “when the State Department granted my visa, they stipulated they could not stand behind me in any way,” an admonition suggestive of instruction, to an undercover man. Where did the money come from? The FBI and the Dallas police fail to supply information on the subject. For the Russian period, we have the unsupported assertion of Pravda that Oswald was an American spy who made numerous contacts with the American Embassy. This might indicate a CIA affiliation. He wrote his mother that, on his return, he would spend a day or so in New York and Washington for “sightseeing.” After that, all is dark except for one hint. An Associated Press dispatch of November 30 from Dallas says in part: “Someone telegraphed small amounts of money to Lee Harvey Oswald for several months before the assassination of President Kennedy, it was reported today,” the Dallas Times Herald said. The unidentified sender telegraphed Oswald $10 to $20 at a time. Here apparently are some of the Western Union items about which the FBI has been so secretive - but why this secrecy? If the money came from the Communist Party, it is hard to understand why the FBI should cooperate in a Bolshevik plot. If it came from a right-wing or Fascist source, the FBI could not lose much by revealing it. But if the money came from a government source, then the agency’s reticence is understandable. The human ear does not provide the best evidence in a murder case. But its perceptions are evidence not to be despised or dismissed, especially when the case is the murder of a President and more than half of all recorded witnesses agree. What follows is the result of a survey of the 121 witnesses to the assassination of President Kennedy whose statements are registered in the twenty-six volumes appended to the Warren Report. On the question of where the shots that killed the President came from, 38 could give no clear opinion and 32 thought they came from the Texas School Book Depository Building (TSBDB). Fifty-one held the shots sounded as if the came from west of the Depository, the area of the grassy knoll on Elm Street, the area directly on the right of the President's car when the bullets struck. We begin by conceding what the President's Commission says it found, namely, that a man on the sixth floor of the TSBDB fired a rifle at the Presidential limousine that Friday noon. The fact that a third man, besides President Kennedy and Governor Connally, was a casualty of those crucial seconds forces us to ask, however, whether there was not one or more other riflemen firing at the motorcade from a different direction. For James Thomas Tague stopped on Commerce Street near the Triple Underpass and was standing about 270 feet to the left of the President's car when he felt a sharp sting on his cheek. A deputy sheriff nearby, seeing blood on Tague's cheek, searched the immediate area and found a fresh bullet mark on the south curb of Main Street a few feet away. Tague was hit during the very seconds that he witnessed the murder of the President. It is difficult to conceive of a sharpshooter aiming at the President from the TSBDB on Elm Street and striking so far afield of his target. It is highly possible, though, that the bullet which hit Tague was fired from the area that Tague himself thought was the source of fire: the grassy knoll on the north side of Elm Street. A marksman stationed there need not have taken faulty aim to miss the President and hit Tague.